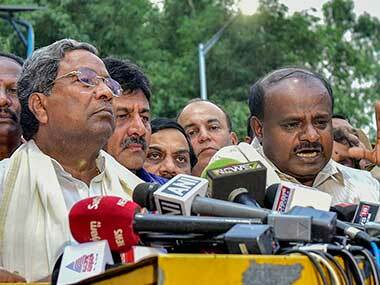 HD Kumaraswamy forms cabinet, but can Congress survive in Karnataka after abject surrender to JD(S)? Congress leaders across India are used to kneeling before the Nehru-Gandhi dynasty. But in Karnataka, they must now genuflect before a second family as well: that of Janata Dal (Secular) leader HD Deve Gowda, and his son and chief minister HD Kumaraswamy. For some Congress leaders, this is proving to be one dynasty too many. It’s not just because they must worship two high commands, and they have only one head each to bow. The chief problem is that the father-son high command of the JD(S) seems to be higher than the mother-son high command of the Congress. The surrender of the Congress to JD(S), after the two parties formed an alliance two weeks ago to keep BJP out of power, is a total and abject one. The result of all this is that the ministry that Kumaraswamy formed on Thursday, a fortnight after he was sworn in as chief minister, is not only dominated by his own upper caste Vokkaligas but packed in his party’s favour even in terms of portfolios. With 15 ministers from the Congress and 10 from JD(S), the ministry now has a strength of 27 along with chief minister and the deputy chief minister. There are 10 Vokkaliga ministers, seven from the JD(S) and three from Congress. With Kumaraswamy himself being a Vokkaliga, the community’s pincher-like grip on this government is clear. In contrast, the ministry has only four members each from the rival upper caste of Lingayats and other backward classes (OBCs). This topsy-turvy balance is unlikely to be corrected even after the seven remaining ministerial slots are filled, considering the demands from many other castes and regions. While the alliance may serve only a limited purpose in fighting the BJP in the 2019 Lok Sabha election, it throws up some fundamental questions over any future revival of the Congress in the state. A seat-sharing arrangement between the two parties in 2019, which is part of the deal, is only likely to edge Congress out of its strongholds. 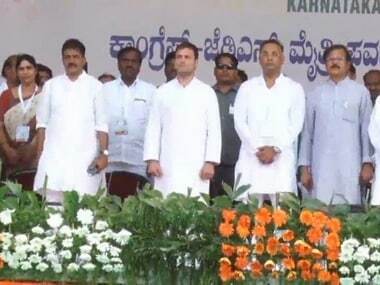 The surrender began when the Congress, with more than double the number of Assembly members than the JD(S), became a “junior” partner in the alliance by handing over the chief minister’s post to Kumaraswamy. And the capitulation continued in the constitution of the ministry and is likely to go on right up to the time when the parties share seats in 2019. Deve Gowda and Kumaraswamy had a hand in deciding not only how many ministers, but also which portfolios Congress could have. In some cases, Gowda even decided whom the Congress should pick from among its own ranks and whom it shouldn’t. 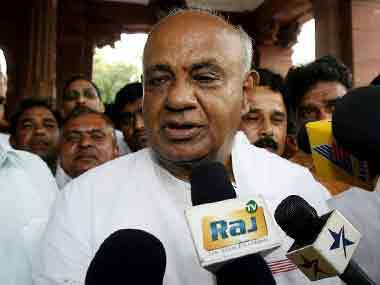 At least two senior Congress leaders confirmed they had paid visits to Gowda in the hope of making it to the Cabinet. One of them did. To begin with, the ministry-making was delayed by tension between the JD(S) and Congress, and within each party. In lieu of the chief minister’s post, the JD(S) conceded a higher number (22) ministers (including the deputy chief minister) to the Congress, keeping 11 for itself. But it was smart enough to appropriate most of the lucrative portfolios. And the issue was “resolved” only because Rahul Gandhi said it was. He told his senior party leaders to settle the issue “in consultation” with Gowda and apparently gave some broad guidelines for choosing ministers. Rahul’s handling of the whole issue, which fell somewhere between macro and micro-managements, exposed his woeful ignorance of the Congress-style intricacies and intrigues that go with ministry constitution. His idea of satisfying different castes, regions and factions in the party was to ask local leaders to “sit down and talk it over” as if it were a matter of key corporate appointments to be decided by a company’s board. And his way of keeping the alliance alive in Karnataka “in the larger interests of Opposition unity” is a cheerful willingness to be led by the nose by the Gowda family. He must be congratulating himself on stopping potential defectors from switching to BJP by making them ministers, but by brushing aside those known for long-term loyalty, he only created a new band of powerful rebels. Among the notable omissions was also MB Patil, the Lingayat busybody who had spearheaded the party’s catastrophic move to turn the community into a separate religion. An acolyte of former chief minister Siddaramaiah, Patil had aspired to be the deputy chief minister but didn’t even make it to the Cabinet. He is so miffed that he says he will refuse to accept any post now, saying he is not a “second class citizen” but a “first class” one. Out of their respective quotas, the Congress still has six berths to fill and JD(S), one. While these remaining slots are not enough to satisfy aspirants, the two parties can only dangle chairpersonships of government corporations and boards at the emerging dissidents. But such posts are not milch cows in the way that ministers’ chairs are. Meanwhile, rumblings have already begun in the Congress over the long-term repercussions of the alliance on the party. Local leaders are worried that, when the time comes for sharing Lok Sabha seats in 2019, JD(S) will usurp most of the constituencies in the Vokkaliga-dominated Old Mysuru region and benefit from the Congress vote banks there. They fear that, in return, Congress can get little help in the rest of Karnataka where JD(S) has only a modest support base. All this doesn’t stop Rahul Gandhi from routinely celebrating the victories of others as his own. 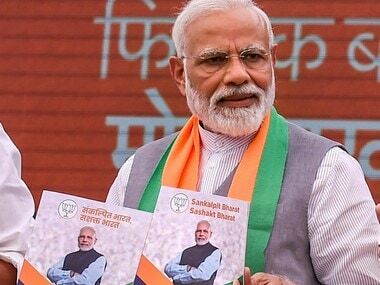 He rejoices over the result of 12 May Karnataka assembly election, just the way he broke into a victory dance after the December 2017 Gujarat assembly poll result and the outcomes of last week’s Uttar Pradesh by-elections. 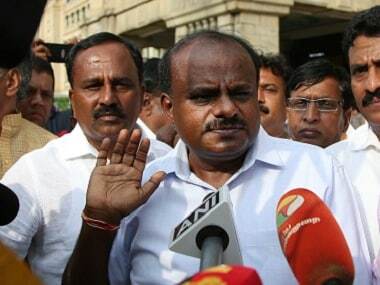 1HD Kumaraswamy forms cabinet, but can Congress survive in Karnataka after abject surrender to JD(S)?